Alderman Mark Bernacki Receives Statewide Business Award! Mark Bernacki, owner of Sir Speedy Press of New Britain, was presented with the 2009 Small Business Champion Award Thursday at the state capitol by Andy Markowski, state director of the National Federation of Independent Business. Each year, NFIB singles out a small business owner in all 50 states for special recognition and honors him or her with its prestigious Small Business Champion of the Year award. 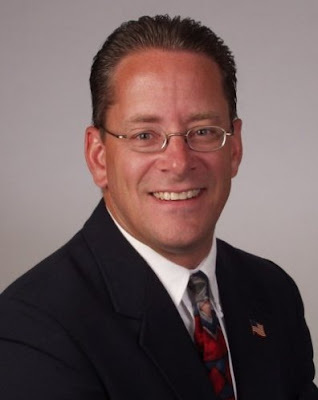 Markowski said Bernacki, a New Britain alderman and a small business owner for more than 20 years, is a force for the free-enterprise system. Bernacki said because of the economy, regulations and higher taxes, he has had to reduce his own work force. (The Herald, October 30, 2009). The Herald that identified a candidate for alderman as having a medical condition that impaired his judgment as reported by James Craven " council candidates arrest forces him to acknowledge illness" Oct. 29th. edition of the paper. Does The Herald know anything about the current state HIPPA Regulations that may have been violated by all who revealed the information to the Herald? The Herald knew from whom the letter came from yet the Herald editors chose only to keep the Alderman's name out of this story, who made the information available. Why hasn’t The Herald reported on Trueworthy’s problems with the West Hartford police? SENIOR CENTER BREAKFAST FOR THE LYONS CLUB! Britain. Tickets are only $5.00! I tried to put this message on your blog but I screwed up. Has anybody else noticed that of the mailings being sent out by Democratic candidates for Common Council, not one mentions any connection with Tim O’Brien? Numerous pieces from Trueworthy, Sherwood, Catanzaro, Heramowski, Lausch, Pina, etc., mention only themselves. There is no recognition of a “team” approach! Then again, I wouldn’t mention it either! Is it because O’Brien really has nothing to offer nor do his running mates? Maybe they don’t want to be associated with Sherwood, Trueworthy, Catanzaro, Gerratana, Bielinski, Hermanowski or any other hapless Democrat. Is there a team of any kind here? Contrast that to the team style approach By THE STEWART TEAM! WAKE UP NEW BRITAIN! ALDERMAN TRUEWORHTY CHARGED WITH DRIVING UNREGISTERED VEHICLE! Alderman At Large Charged with, driving un-registered vehicle, following too closely, and with distracted driving as one of the charges see below for record: Case to be heard 11-12-09. Do you want an alderman driving around with an unregistered vehicle as the record implies? Ward Two Candidate--- Hatch Act Does Not Apply! Ms. Julie Swan a Council Candidate for The Alderman Ward Two is not subject to the Federal Hatch Act and her candidacy is not in jeopardy. Her employment at the senior center as a driver does not have any federal funds involved at all. We wish her a successful campaign result. Trueworthy & Catanzaro Theatrical Co.
One Final Act of Staged Theater! At the Council meeting Wednesday night, Alderman Paul Catanzaro made a motion to reappoint William Candelori, Edward Sasso and Louis Amodio, Jr. to the Mattabassett District for new terms beginning on November 1, 2009. These appointments would take effect 2 days before this current Council faces the public in an election and would "stick" the newly elected council with these three Directors for the duration of the new Council member's terms in office. Alderman Louis Salvio made a motion for these appointments be tabled until the next Council meeting, which would have allowed these appointments to be delayed until the new Council takes office. The majority Democrats voted this motion down, and then Alderman Trueworthy continued with the effort to make these appointments, but the City Attorney kept shooting down Trueworthy's attempts at politcal wrangling. The attorney offered the opinion that the appointments could not be made until after their current terms expired, but Trueworthy was relentless in his efforts--having even suggested at one point that the appointments could be made last night, but post dated to November 1st--but of course the City Attorney found legal problems with that strategy as well. After being unsuccessful at his several attempts to ram through these appointments, Alderman Trueworthy finally made a motion to table these appointments until the next Council meeting. The motion to table the appointments passed, with only one Alderman voting against it--Alderman Paul Catanzaro. In January, the Ethics Commission did find with regard to Catanzaro suggesting to the Council that Parks & Rec employees be used for work, instead of allowing a contractor to perform the work, that Alderman Paul Cantanzaro had indeed violated two provisions of the code of ethics as covered under section 2-449 [A] and 2-449[K]. The ethics violation having to do with his being an employee of the Parks Department while making this recommendation as an Alderman. The Board’s findings had recommended that the Alderman be reprimanded and forwarded their finding to the Common Council for its action. At the February Council meeting, Alderman Paul Catanzaro spoke against, and then voted to reject this same Ethics Commission ruling calling for Catanzaro to be reprimanded. 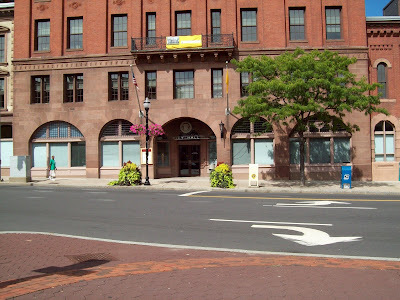 Catanzaro reportedly told reporters from both the New Britain Herald and the Hartford Courant that his reason for voting on the matter was because if he was to recuse himself, then he wouldn’t be allowed to speak on the matter, but that is precisely what the city charter dictates; that he not be allowed to speak on his own matter of interest. 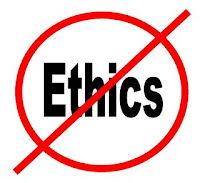 But not only did his fellow Democrats fail to enforce this section of the Charter by stopping him from speaking on his own matter of interest, the dirty dozen joined him in voting to reject the unanimous, bi-partisan ruling of the Ethics Commission. 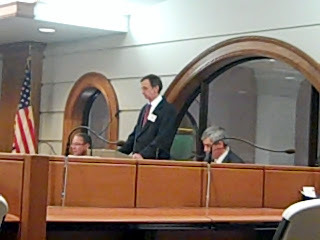 The conduct of the Council Democrats at this meeting was so outrageous, that former Democratic Mayor William McNamara subsequently resigned as Chairman of the Ethics Commission citing protest to this vote as his reason for his resignation (Ethics chief’s vote protest: quitting, by: James Craven, February 18, 2009). Then we have the badly needed funds that were withheld from city programs because of the conflicts of interest of Catanzaro, Trueworthy and others. The main issues were that Trueworthy's wife works for HRA and Catanzaro was the President of HRA. The letter from HUD specifically said: "The fact that Catanzaro has taken no action to remove himself from HRA, forces HUD to deny reconsideration of funding rejections" ("Conflicts of interest stop futher HUD funds" by: Rick Guinness, The Herald, November 21, 2008). Catanzaro did some time later, finally resign from HRA, but not until after badly needed funds were withheld. Catanzaro has also accepted the endorsement of the radical ACORN front group: Working Families Party. According to the political watchdog web site Discoverthenetworks.org, The Working Families Party is a front group of ACORN, is an outgrowth of the socialist New Party, and acts as a political party in Connecticut and New York to run radical candidates who conceal their extremism beneath a veneer of populist rhetoric, promising bread-and-butter issues designed to appeal to union voters. The site quotes Bertha Lewis, who moonlights as both WFP Co-Chair and New York ACORN Executive Director as saying "Candidates know that when they're on our line, they're committed to certain things." Here's what Bertha Lewis was quoted as saying about the endorsement: Speaking days before Hillary won her Senate seat in 2000, Lewis noted, “Hillary knows that if she wins, we’re going to be knocking’ on her door. She won’t be able to hide.” (Quoted in the Village Voice, November 1-7, 2000). Do you really want members of your city council beholden to Ms. Lewis when she comes knocking on their doors? Which leads to the next issue I would like to remind everyone about. In July, Catanzaro joined a host of radicals, including Working Families Party to protest outside the Wal-Mart store in New Britain. Many believe it was similar protests outside this same store that helped to convince Wal-Mart to abandon New Britain, but is this what we want our elected officials doing to local businesses, joining groups of agitators in protests outside their businesses? When Catanzaro was attending this protest, was he doing so as an Alderman, or was he wearing his ACORN/Working Families hat at the time? Either way, isn't it time we found Aldermen who will work to bring businesses into New Britain, and Aldermen who will actually obey the law, instead of flaunting their being above it? I have just learned that there have been several locations whereby Mayor Stewart's campaign signs have been knocked over by someone driving up on the homeowner's lawn and running the sign over with a vehicle. It would appear that some radical O'Brien supporters are getting overzealous and destroying private homeowner's lawns in the process. Anyone witnessing such activities should take note of the license number of the vehicle, if it is possible to do safely, and report such activity to the New Britain Police at 826-3000, or in an emergency, by calling 9-1-1. Charyl Blogoslawski is running for re-election as Tax Collector. 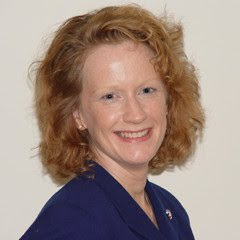 Cheryl holds a Bachelor's Degree in Business Management from Bryant College (now University) and a Master's Degree in Professional Accounting from the University of Hartford. Cheryl has over 15 years of experience working in the private sector--10 most recently in the commercial real estate area. Cheryl has a strong background in business accounting with experience in budgeting, forecasting, and financial statement preparation. Her experiences have also included statement reconciliations, capital asset classification, depreciation schedules, and she has worked with mortgage escrow companies, banking institutions, and outside independent auditors with respect to proper year end filings. Cheryl continues to build her already strong core computer skills and other technical competencies. Cheryl is currently a Board Member for the Salvation Army, and a former Commissioner for both the Parks and Recreation and Conservation Commissions. Cheryl's family has a commitment to public service spanning several decades. Cheryl's father, Walter Blogoslawski, served on the Redevelopment Commission in the late 60's/early 70's, her mother, Patricia Hoerle, served on the Board of Education for most of the 80's. Cheryl's sister, Linda Blogoslawski Mlynarczyk served on the Common Council and then Mayor in the early 1990's. Cheryl says that each of her family members believed in this city in their own way and that she too believes in our city. Cheryl says that under the leadership of Mayor Stewart, New Britain has experienced unprecedented growth, and accordingly, the tax collector position has evolved into one that demands the education, financial background and experience to stay on top of complex tax structures as we continue to grown and move forward. ARE WE TRYING TO HIDE SOMETHING? Laura Woodie is a Democratic candidate for Alderman-At-Large. In a Hartford Courant article referencing her candidacy, the Courant reported that "she did not specify where she works" (New Britain Dems Hope To Hold Power On Council; GOP Hopes To Gain Some, Hartford Courant, October 22, 2009). Then in a similar article in The Herald, Woodie reportedly identified her occupation as: "advocate for low-income families, and families with disabilities in various communities" but again failed to mention where she works (New Britain Common Council Democratic Candidates, The Herald, October 24, 2009). It raised red flags with me to read that a candidate for public office was being so evasive about identifying her employer, but could there be a reason for this? An internet search for Laura Woodie revealed that as late as March of this year, she was identified in a U.S. District Court case as being a representative of the Housing Authority of the City of New Haven and in October 2008, she was also identified in a City of New Haven document as being the Housing Authority's ADA Coordinator with responsibility for assisting persons with disabilities who hold vouchers under HUD's Section 8 program. A call to the Housing Authority of New Haven today confirmed that she still works there, so why could she apparently be afraid that we, as voters, might learn that? Could it be the Hatch Act? According to a publication issued by the U.S. Office of Special Counsel in December 2005, "The Hatch Act restricts the political activity of individuals principally employed by state or local executive agencies who work in connection with programs financed in whole or in part by federal loans or grants." May not be a candidate for public office in a partisan election. Perhaps the U.S. Office of Special Counsel could review this candidacy before the election, so that the people of New Britain can avoid another potential situation whereby badly needed federal funds could be withheld from more vital programs? Mark Bernacki is running for re-election as Alderman-At-Large. Mark has been a member of the Common Council for 16 years, currently serving as Assistant Minority Leader, Mark also served in the past as Mayor Pro Tempore (for 8 years), a position he was elected to by his peers on the council. Mark has been married for 31 years. 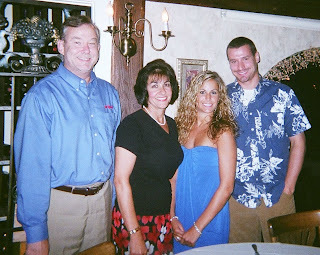 His wife Maria Gallo Bernacki, and their two children, son Mark and daughter Marybeth, are shown in the photo above. 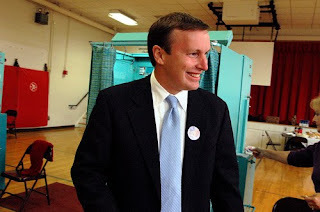 Mark has a MBA from University of Hartford, a BS in Computer Science from CCSU, and is a graduate of New Britain High School. For the past 20 years, Mark has owned and operated the Sir Speedy Printing Center in downtown New Britain. As the owner of a small business, it gives him a special understanding for the problems confronted by other businesses in the city. Mark says that he is greatly concerned with the tone and ethical lapses of this City Council, and that critical federal grants have been withheld due to conflicts of interest with some council members. Mark also said that proposals by the Mayor and other Republicans have been delayed or defeated simply because of party affiliation and not for lack of merit. Mark says he is looking forward to continuing to work with Mayor Stewart to attract large developers to New Britain, and to make downtown and Pinnacle Heights both vibrant and attractively developed sites. A Remider of The Fund Raiser For Mayor Timothy Stewart and His Slate!---TODAY! Fund Raiser For Mayor Timothy Stewart and His Slate! TIME 5-8 pm at SAINT JEANS HALL ON SMALLY ST.
A RAFFLE FOR THE BENEFIT OF THE RTC. Dennis Bryant is a candidate for Alderman in Ward Three. Dennis attended New Britain High School, various industrial schools, and Bucknell University. Dennis is a veteran, having been honorably discharged from the U.S. Navy. Dennis works for Hospital for Special Care, and is a member of the Elks Club. Dennis says he is running because he feels it is time to give something back to the community instead of watching from the sidelines. Dennis said that in the past six years under Mayor Stewart, he has seen more positive things happen for everybody--not for just certain groups or individuals--and that he would like to be part of that. A letter to The Herald editor (10/23/09) by Peter Kochol, “ Stewart disingenuous ...” as well as incorrect assertions by Democrats, Sherwood and O’Brien at the LOWV/HERALD Candidates’ debate on Tuesday, 10/20/09 prompts this editorial. First. At the “debate”, Democrats asserted over and over (especially Sherwood & O’Brien) that NB schools are overcrowded. This despite a direct challenge to that assertion by Stewart Team Aldermanic Candidate, Marco Villa (BOE employee) that the assertion was false. An administrator at the BOE central office was called to ask him about school population numbers. This administrator said that in fact, our schools are NOT overcrowded. He explained further that there are approximately 500 students enrolled in out of town magnet schools. This means that fewer teachers were needed resulting in higher enrollments in some classes. Enrollment at NBHS is also lower. Second. Kochol’s use of the term “disingenuous” when referring to Mayor Stewart is way off base. He asserts that Stewart did not wish to receive proposals for magnet schools - this assertion is what is really disingenuous. The DiLoreto School is a type of district magnet school (K - 8 Dual Language School). The Stewart Administration has supported this concept. The Stewart Administration held discussions about inter district magnet schools years ago. At that time, both city and school administrations did not wish to commit to the inter district magnet school proposal. It turns out, that was a good decision; in the past couple of months a serious problem has arisen especially in the Hartford magnet schools with regard to lower than expected per pupil funding for the schools from the State. There has been much discussion of this problem in the media. Why did the city/BOE decide not to commit to a inter district magnet concept years ago? The reasons are/were many faceted: where to put inter district magnet schools; increased funding necessary for staffing, etc. ; no firm commitment from surrounding towns to participate - suppose towns committed at first, then, after getting things in place decided to back off a commitment? ; NB would be held “holding the bag.” Etc., etc. Democrats are desperate to find issues they feel might serve them well in the upcoming election so they try to paint the Stewart Team as anti education. In light of the fact that there is a global recession and that the city underwent a revaluation (mandated by the State) the City and School Administrations had to be prudent financially to keep property taxes from skyrocketing. Education progress in has been advancing in New Britain the past six years in spite of the fact that the state's share of the education budget has actually diminished during Tim O'Brien's time in the state legislature, from 62.2% in 2001-2002 to 59.3% in 2007-2008. This has increased the burden the city must carry. This is in conflict with the claim by Mr. O'Brien that he has increased state aid to schools during his time in office. A few things that have been completed/accomplished during the Stewart Administration: reroofing of elementary schools; new playscapes at schools, 16 room addition for the Freshman Academy at NBHS; reroofing of NBHS with Solar electricity generating panels installed; Alternate School built at NBHS; sports improvements to Veteran’s Stadium; DiLoreto School has revamped building and curriculum concept (See the lead story in The Herald, 10/24/09). The list could go on and the facts show that the Stewart Administration has been only pro education for New Britain. Lou Salvio is a candidate for Alderman-At-Large. Lou is currently the Minority Leader of the council. Lou and his wife Dorothy are both life long residents of Britain. They have two children, and three grandchildren, all of whom are also New Britain residents. Lou is retired after 36 years as a public school teacher and administrator, having worked at schools in Old Saybrook, Bloomfield, and West Hartford. Lou also has 25 years of experience as an Instructor at CCSU Extension College and from 1996 to present has been a Student Teacher College Instructor. Lou has a long history of public service in New Britain, including Chairman of the New Britain City Plan Commission, Commission on Community and Neighborhood Development, two Charter Revision Commissions, City of New Britain Ethics Commission, Republican Town Committee, 3 terms on the Common Council, Chairman of New Britain Board of Finance & Taxation, and has served in the following Common Council Liaison positions: Parks and Recreation Commission, Finance Commission, and Board of Fire Commissioners. Lou is also a member of a number of community organizations, including: St. Maurice Church, Associate Member of New Britain C.P.O.A., Family Member of New Britain Museum of Art, Greater New Britain Arts Alliance, Art League of New Britain, Trinity-on-Main Performance Center, Angelo Tomasso Sr. Lodge 2165, Order Sons of Italy in America, Retired Member of National Education Association, Connecticut Education Association, West Hartford Education Association, West Hartford Retired Teachers Association, Association of Retired Teachers of Connecticut, and from 1988 to 1990, served as the Chairperson of New England Science Teachers--Based at MIT. Michael Trueworthy--Leader of the Rat Pack! If you are tired of the constant bickering, childish games, and sleazy partisan politics that plague the city council, there is no better place to lay most of the blame, than on the Majority Leader of the council, Michael Trueworthy. As the leader of the gang of 13, they spend more time trying to block the mayor from accomplishing anything that might make the Mayor look good, and in the process, destroying progress for the city. The most recent that I recall is the childish attacks launched by the Council Democrats against the proposed developer of the Pinnacle Heights property. The most bizarre` conduct over this matter was when they scheduled and then continued with a meeting to supposedly discuss the development with the proposed developers long after they were made aware of the fact that the developer was out of the country on vacation. The meeting amounted to what one could describe as "staged theater" led by Trueworthy and his minions criticizing the developer for not attending a meeting they knew in advance he was unavailable to attend. At a subsequent meeting that the developer was able to attend, the Council Democrats criticized the developer for not being able to tell them exactly what tenants he would secure for a property he didn't even have control of, and a Herald article even quoted one of Trueworthy's cohorts, Alderman Phil Sherwood, as asking the developer "Where's the beef?" (Pinnacle Heights sale moves ahead; by James Craven, August 4, 2009. The only surprise about this proposed development, is that the developer didn't pick up his $5 million and look for another city to invest it in. Another recent obstructionist move was proposed by Aldermen Trueworthy and Hermanowski. A measure that would require purchase and sale agreements for city property that have been approved by the council to be completed within 90 days of the approval. (Hot topics on council's agenda this week; by James Craven, Sepetember 7, 2009). What legitimate purpose could such a measure have, other than to obstruct the Mayor from being able to sell city property to developers and to prevent progress? How many people are able to complete their house purchase in 90 days from the date they sign the purchase agreement? How can anyone possibly expect the developer of multi-million dollar projects to secure the needed financing and complete the sale within 90 days? Even more bazaar is the wild conspiracy accusations that Trueworthy and his faithful gang have launched against the Mayor and the city audit firm, BlumShapiro. Two Herald Articles on August 5 and August 6 report some amazing statements from Trueworthy and some of his followers. Trueworthy reportedly questioned the legality of some actions by BlumShapiro and the city. Trueworthy also reportedly said he had been trying to get questions answered for a year and a half and still didn't have any answers. In response to Trueworthy's claims, Mayor Stewart reportedly responded by saying "Alderman Trueworthy is a liar" and that Trueworthy is questioning the very things that he authorized as a council member. Mayor Stewart also reportedly said "He seems to have conveniently forgotten that" and "That's not uncommon these days." Alderman Bernacki was also quoted as saying that it was time for some members of the council to "take their ACORN agitator hat off and become a community leader" (Aldermen claim possible auditing conspiracy; Wednesday, August 5, 2009, and Dems charge mayor with conspiracy over auditor; August 6, 2009, both by: James Craven). Democratic Alderwoman Shirley Black said Trueworthy has changed in the last year, going from a very eloquent and clear speaker to someone who rambles disjointedly. "I think it's something we've all noticed" and "He was very focused and punctual, but seems more confused now. He's late to meetings now when he was always on time in the past" (Councillors concerned over Trueworthy's behavior; by James Craven, May 12, 2009). Alderman Larry Hermanowski reportedly also noticed changes that have left him concerned with the party leadership on the Common Council. "He is not the Mike Trueworthy that I knew four or five years ago" Hermanowski said. Hermanowski said his major concern was Trueworthy's inability to finish a complete thought while addressing the council or any other group. Hermanowski said he dismissed any rumors of drug or alcohol abuse by Trueworthy, but referred any questions on that matter to Alderman Phil Sherwood, because of their friendship (Councillors concerned over Trueworthy's behavior; by James Craven, May 12, 2009). Alderman Phil Sherwood was quoted as saying: "I categorically deny that Mike Trueworthy is doing any kind of drugs" (Councillors concerned over Trueworthy's behavior; by James Craven, May 12, 2009). Even Herald reported James Craven has been critical of Trueworthy: "In a long and at times erratic diatribe against Stewart in a telephone interview,...(Trueworthy fires first in budget war; by James Craven, May 12, 2009). Trueworthy has also accepted the endorsement of the radical ACORN front group: Working Families Party. According to the political watchdog web site Discoverthenetworks.org, The Working Families Party is a front group of ACORN, is an outgrowth of the socialist New Party, and acts as a political party in Connecticut and New York to run radical candidates who conceal their extremism beneath a veneer of populist rhetoric, promising bread-and-butter issues designed to appeal to union voters. The site quotes Bertha Lewis, who moonlights as both WFP Co-Chair and New York ACORN Executive Director as saying "Candidates know that when they're on our line, they're committed to certain things." Here's what Bertha Lewis was quoted as saying about the endorsement: Speaking days before Hillary won her Senate seat in 2000, Lewis noted, “Hillary knows that if she wins, we’re going to be knocking’ on her door. She won’t be able to hide.” (Quoted in the Village Voice, November 1-7, 2000). Do you really want the leader of your city council beholden to Ms. Lewis when she comes knocking on his door? In closing, if you think that the city council has been performing the way it should, then vote to re-elect the Majority Leader who controls much of the activities of the council. If you are tired of the divisiveness, and childish partisan games, then consider voting for change. I believe a change is long overdue. Dwight Blint is running for Alderman-At-Large as an unaffiliated voter on The Stewart Team. Dwight is a communications professional with over 20 years of experience in journalism, public relations, advertising, and marketing--previously working for the Hartford Courant as a reporter. Dwight was born in Jamaica and raised in Hartford. Dwight and his wife Kathleen settled in New Britain six years ago. They own their own home on Stanley Street, as well as a rental property on Cherry Street, where Kathleen was raised. Dwight is currently involved in public relations, working with a non-profit organization focused on educational equality issues. Dwight says he welcomes ideas that will either save the city money or improve the quality of life for all citizens, and is not concerned with the party affiliation of anyone who offers such ideas. Dwight cites becoming a United States Citizen last year as his proudest accomplishment. Last Power Trip For The Democrats On The Council? There is a disturbing resolution on the agenda for the Common Council meeting scheduled for Wednesday, October 28. The majority Democrats are planning to reappoint William Candelori, Louis Amodio, Jr. and Edward Sasso to the Mattabassett District for another 2 year term. What is so troubling is that the current terms for these three expire on November 1st, just 2 days before this current council faces the public in an election. Is this an act of desperation by a group that sees their days numbered? Are they trying to ram through these appointments in the 11th hour because they believe their re-elections are in trouble and are trying to "stick" the next council with their minions for another two years? What if the newly elected council doesn't want these three for Directors at Mattabassett, and what if they have good reason to seek change? For example, what if the new council has questions about placing a person who pleaded guilty to tax evasion into a position of power over an estimated $100 million of your tax dollars? 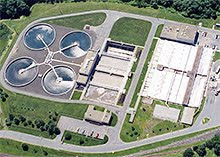 (the annual budget is about $10 million, plus Mattabassett is facing a proposed $90 million plant expansion). The Democratic majority on the Council apparently sees no problem with reappointing William Candelori, the current Chairman of the Mattabassett District, but what vetting procedure has taken place before such a powerful appointment was given, or was the fact that he is a Democrat all that mattered? 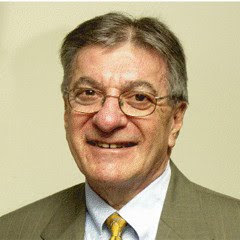 Mr. Candelori is a former partner in Colonial Realty--described in a recent article in The Day of New London as: Connecticut's own Madoff-style Ponzi scheme in which local investors lost hundreds of millions of dollars (Loan bribe, or defense strategy, by David Collins, 4/12/2009). "Late last year. William P. Candelori, a former state lawmaker and executive at Colonial, pleaded guilty to Federal tax evasion for failing to report hundreds of thousands in income" ("2 Partners In Investment Plead Guilty" The New York Times, June 9, 1993). The Commission announced the entry of an order instituting administrative proceedings against William P. Candelori (Candelori) and the simultaneous acceptance of his offer of settlement. Candelori is a former associated person of Colonial Equities Corp., a broker-dealer previously registered with the Commission. The Order bars Candelori from association with any broker, dealer, municipal securities dealer, investment adviser or investment company. The Commission found that on August 22 the Honorable T. F. Gilroy Daly of the U.S. District Court for the District of Connecticut enjoined Candelori from further violations of certain registration and antifraud provisions of the securities laws. The complaint, filed on March 9 against Candelori and six others, alleges violations of several antifraud and securities registration provisions of the federal securities laws in connection with a fraudulent unregistered public offering by Colonial Realty Company of 1200 limited partnership units in the Colonial Constitution Limited Partnership during 1989 and 1990. Candelori consented to the injunctive order without admitting or denying the complaint's allegations. The administrative order against Candelori was also based on his prior criminal conviction. (rel. 34-36170)." ...Not only does the lawsuit suggest that Thomas may have turned out to be a bad credit risk, but it has shaken out a strange cast of characters with whom the tribal chairman has been doing business, some of them marquee criminal names in Connecticut. The bank loan to Thomas, as it grew in size over time, was eventually secured by a mortgage of a 12-acre commercial property at Route 12 and Gungywamp Road in Groton, property Thomas' associates had planned to develop into a 118-unit apartment project. According to Sovereign, the investors with an interest in that property include some of the principal characters in the collapse of Colonial Realty in the 1990s, Connecticut's own Madoff-style Ponzi scheme in which local investors lost hundreds of millions of dollars. Among those with an interest in the Groton property that was put up to secure Thomas' loan, the bank said in court papers, are Jonathan Googel, a Colonial founder who pleaded guilty in federal court to wire fraud, bank fraud and tax fraud; Kevin Sisti, the son of another Colonial founder, who pleaded guilty to a conspiracy charge for taking loan proceeds for his father, and William P. Candelori, a former state lawmaker and Colonial executive, who pleaded guilty to federal tax evasion. These and others have all been named in new complaints filed in Sovereign's suit against Thomas, which is drawing defendants and their lawyers like cloud banks to a gathering storm. "It's a laundry list of convicted felons," one person familiar with the case said of the growing list of defendants. That includes Thomas himself, who was convicted as a young man on drug-dealing charges in Rhode Island....(Loan, bribe, or defense strategy? by David Collins, 4/12/2009 The Day). Closer to home, Mr. Candelori continues to be delinquent in his real estate taxes for his home. As was previously reported on this blog, Candelori was delinquent last year as well. According to the records at the Tax Collector's Office, Candelori paid his 2008 taxes in July 2009, and currently owes $2,477.43 for his 2009 taxes that were due on July 1, 2009. Despite the issues that may raise questions about Mr. Candelori's appointment, should any appointments be made by a council that faces an election a few days later? What is the hurry? These 3 Directors continue to serve until they are reappointed, or their replacements are appointed, so why would council members who may find themselves out of office the following week be making appointments for director's who will serve their replacements on the council? The sensible action would be for this council to table these appointments until the public is given their chance to elect a council for another two years. Whomsoever wins the election, the new council can simply make the appointments for these three positions at their next meeting. If this council can't do the right thing by tabling these appointments, then Mayor Stewart should hold them accountable by vetoing these, or any other appointments they may plan to ram through on their way out the door. I was born and grew up in New Britain. I was raised in a single parent household with three other siblings. My Mom was a hard-working lady who never asked for help, but provided for us the best she could. She worked long hours, but we were feed and clothed and knew that we were loved. Part of the experience of living in New Britain was growing up in Mt. Pleasant Housing Project. Growing up in the 1950’s had a profound impact on me. I thought that New Britain was like a New York City. My Mom would take me and my sister downtown once a month and we would spend the whole day going through all of the stores that lined Main Street. Our end of the day treat was dinner at The Charfar Chinese Restaurant at the far end of Main Street. Once we finished, in went the bus tokens and the ride home. The night sky would glow with the output of blast furnaces producing steel for New Britain’s many factories. The entire downtown had multi-storied buildings and the most magnificent Theater, The Strand. I was awestruck at its beauty and taken in by the hustle and bustle of a vibrant downtown New Britain. Broadway. Eventually I purchased a house in the Belvedere section of New Britain, where I have lived for the past 27 years. I have invested my time and energy to make it a better neighborhood, becoming a member of the Belvedere Property Owners Association for many years and the Town and Gown to help address the impact of CCSU on our neighborhood. Currently, I work for Northeast Utilities as a Senior Engineer. 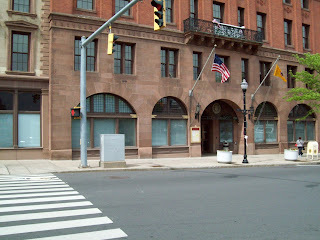 I serve on New Britain’s City Plan Commission and was a Chairman of New Britain’s ZBA. I had also served as an Alderman from 1997 -2001. I was a past Council president at First Lutheran Church. The reason I bring up New Britain’s past is the fact that we have the future ahead of us. Our Mayor, Tim Stewart, has been an advocate for the rebirth of New Britain for many years. In this he is sincere. However, he needs non-partisan individuals on the Common Council to work with him to fulfill that goal. We can no longer tolerate a Council that berates and discourages developers from coming into town. Remember, a thriving New Britain benefits everyone – Democrat, Republican and Independent. 5-8 pm AT SAINT JEANS HALL ON SMALLY ST. MINORITY COUNCIL LEADER SPEAKS OUT! office. This administrator told me in fact, our schools are NOT overcrowded. some classes. Enrollment at NBHS is also lower. Trinity College In Lockdown; Robbery Suspect Fires At Police - WTIC ----COULD THERMAL IMAGING BE NEEDED AT THE NEW BRITAIN PD? In today's Hartford Courant of the New Britain Section an article entitled "FOR BOTH PARTIES, THE ISSUE IS CONTROL". This report was written by the Courant reporter Don Stacom. He missed the real story behind the Stewart Ticket with it being a multiparty ticket. He reported in his report that all the candidates were republican on this republican ticket when in fact two are democrats and three are Independents. The courant had reporters that got the facts right, IN THE PAST, but this sloppy research appears to be the usual at the Courant. The Bizy Bee: Another New Blog! SHOCKING VIDEO: Congressman Chris Murphy Slips Out Back Door To Avoid Important Vote On Oversight! Watch the video to see our own Congressman Chris Murphy absent from his desk when an important vote was being called to investigate fellow Congressmen and Senators who may have received special mortgage deals. Stay tuned to the end of the video, and you will see your Congressman ditching out the back door with many of his fellow Democrats. What is it about oversight that scares these Democrats so much, that they are afraid to even debate the issue? (video courtesy of The Courant). 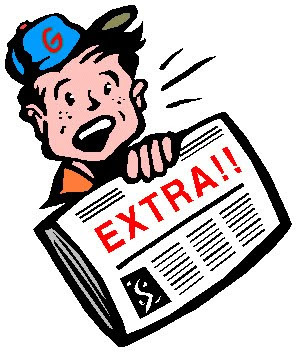 I was appalled by the shoddy reporting of the story appearing in the Oct. 13 edition of the New Britain Herald, "O'Brien pushes for tax reform." With all due respect, James Craven should have placed "paid for by the committee to elect Tim O'Brien" after this so called news story. Where is the opposing point of view or even a point of view from an objective observer? He allows Mr. O’Brien to make unchallenged and questionable assertions about potential sources of income that simply do not exist. He dropped in a gratuitous and self-serving non sequitur from Mr. McNamara about his party’s candidate. And he did nothing to explain the claim that an overwhelming majority of taxpayers have seen their property taxes go up, when in fact this city has held the line on its mill rate for six years. Where is the call to the mayor, his campaign manager, the chair of the Republican Town Committee, or the chair of the Board of Finance for comment? I’m very disappointed with this story, both as a candidate, a city resident, and as a former journalist. Mr. Craven and the New Britain Herald can and should have done a much better job with this one. Suppose I claim that we can raise $1 million in additional revenue by making sure all dog owners register their pets, would he check that out or just print it? Marco Villa is a candidate for Alderman-At-Large. Marco has lived here in New Britain his entire life. Marco attended E.C. Goodwin Technical School and Central Connecticut State University. Marco is employed by New Britain Board of Education. He was a Basketball Coach at New Britain High School from 1999-2007, Boys & Girls Club Athletic Director for 9 years, and AAU Basketball Coach. Marco says he works with the city's youth and speaks with parents every day, and as a parent himself, he understands the issues facing our city. Marco says he has witnessed much progress at all levels of city government under Mayor Stewart's leadership, and sees it as a top priority for the council to work with the Mayor's office for future progress in a bi-partisan manner. Alderman Catanzaro: The Ultimate Hypocrite, Only Opposed To Some Wars? In April, 2007, by another gang of 13 (13-2 vote) The New Britain City Council passed a resolution condemning the Iraq War. Speaking on this resolution, Alderman Paul Catanzaro was quoted in The Herald as saying: "An abomination is when you send [soldiers} into war ill-equipped. And when they come home and have benefits cut, that's an abomination." ("Angry approval goes to firefighter OT, vote on war" April 23, 2008, by Rick Guinness). But why is Alderman Catanzaro and the other 12 members of his gang on the council so quiet now? General Stanley McChrystal, the Afghan Troop Commander who was hand picked by President Obama, asked the President for 40,000 more troops, warning that the U.S. could face defeat, and that many of our soldiers might be killed unnecessarily if the general didn't get the extra assistance he needs. That was more than 5 weeks ago, and President Obama is still trying to make a decision on what to do? Where is Alderman Catanzaro and the rest of his liberal gang on the council to condemn President Obama for putting our men and women in jeopardy through his inaction? 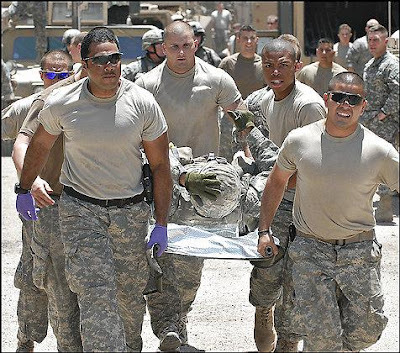 Alderman Catanzaro doesn't see this indecision, even incompetence by President Obama as an "abomination," even though he is endangering our troops by sitting on his hands? Some of you may wonder what business the New Britain City Council has sticking their noses into international affairs, but they chose to make it their business by ramming through a resolution against the previous President, now this President can apparently do no wrong in their eyes, even when risking the lives of America's service men and women. Now that's hypocrisy you can believe in! 49 OF THE FIFTY STATES LOST JOB AFTER THE STIMULUS. Jamie Giantonio is a candidate for Alderman-At-Large. Jamie is a life long resident of New Britain. Jamie is a product of New Britain Schools, having attended Lincoln School, St. Francis Middle School and St. Thomas Aquinas. He currently lives with his wife of 9 years (Karen) on Birchwood Drive where they own their own home and are raising 2 children. Jamie is currently employed by Travelers Insurance Company as an Information Technology professional. Jamie also has project management, facilitation and budgeting experience, which he believes will help him understand the many issues facing the council. Jamie has been a member of the New Britain Parks and Recreation Commission since 2004. Jamie was an active member of the St. Francis of Asisi Middle School community, prior to their closing, serving as the Boy's Basketball Coach from 1999-2005 as well as helping with many fund raisers. 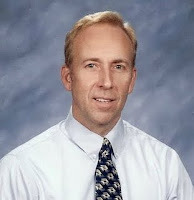 Jamie also served on the Pope John Paul II school board in 2006. Representative Tim O'Brien Supported Huge Increases in DMV Fees! Considering that two large bus companies call New Britain home, it is not very business friendly for New Britain to support such large increases in the various bus registration fees. 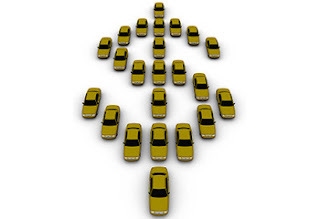 The new fees also raise the cost of licensing your 16 year old child for their first driver's license to a total cost of $156.00 (operator's license, learner's permit fee, and examination fee). $156.00 is a lot of money to charge for a first time license--especially in the case of a working class family who may be struggling to pay the rent or put food on the table. Representative O'Brien claims to support working families, but his voting record says just the opposite. Thankfully, Governor Jodi Rell vetoed HB7002 and spared us from this latest attempt by the Democrats in our legislature to stick it to all of us with their ever increasing tax and fee hikes. Based on his voting record, this is exactly the type of sneaky fee increases we could expect to see in City Hall if Representative O'Brien were to be elected Mayor. If O'Brien becomes Mayor, you will no longer have Governor Rell to protect you from his wrath! O'Brien--Mayor of the City of Openness? Will the city hall become as closed as his personal blog that shuts out those that disagree with him? Many of the residents have tried to sign into his blog and were denied access. Is that the kind of open government he promises for New Britain? He is also claiming if elected Mayor he will fight for state legislation to bring property tax relief to our taxpayers. Why does he need to be mayor to perform that task? Shouldn't he have accomplished this as a State Representative? I received a mechanical phone call with the representative's voice claiming that the mayor raised all the house taxes by a sum of $2,000. He of course is referring to the same claim as in his mailer with the former board of education member Peter Kochol making the very same claim that his house taxes went up $2,000 as an attack on Mayor Stewart's claim of the retention of the mill rate with no increases, however, what these two individuals do not explain is that the revaluation took place on July 1, 2008 mandated by the state legislator. Are they purposely fabricating the facts? HE PROMISES ETHICS REFORM AND TO REMOVE SPECIAL INTEREST MONEY FROM STATE ELECTIONS! WHY DOESN'T REPRESENTATIVE O'BRIEN PRACTICE THIS BY REFUSING THE DONATIONS FROM OUTSIDE INTERESTS WHO ARE NOT NEW BRITAIN BUSINESSES OR RESIDENTS? WHY DOES HE ACCEPT CAMPAIGN DONATIONS FROM ORGANIZATIONS AS FAR AWAY AS NEW YORK? MORE IMPORTANTLY, WHAT DO THESE ORGANIZATIONS HOPE TO GAIN FROM AN O'BRIEN ADMINISTRATION? Don Naples is an unaffiliated voter who is running for Alderman in Ward Four as part of The Stewart Team. Don was born and raised in New Britain. 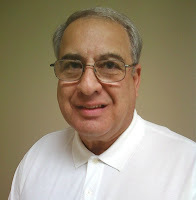 Don is a graduate of New Britain High School and holds 3 college degrees: B.S., M.S., and an M.B.A. He was an Eagle Scout and is a Veteran. Don was a Career U.S. Coast Guard Officer, retiring with the rank of Captain. Don has 9 years of local government experience working in the General Services Agency, County of Alameda, California. Don also knows the challenges faced by business owners, as he owned and operated a retail computer business in Newington for 3 years. Don was an Information Systems Consultant, retiring in 2005. Don is a Volunteer both for RSVP (Retired Senior Volunteer Program) at Trinity-on-Mail Performing Arts Center, 69 Main Street, New Britain, and also New Britain City Hall, Mayor's Office. 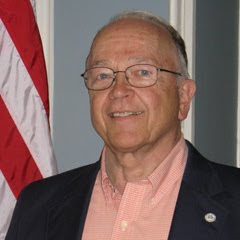 Don currently serves as Vice-Chairman of New Britain Zoning Board of Appeals, Secretary of Central Connecticut Regional Planning Agency--representing New Britain, President of Trinity-on-Main LTD, New Britain, Member--Board of Governors, Connecticut Society of Genealogists, and Member--Board of Directors, Hartford Chapter of the Barbershop Harmony Society. Don and his wife Phyllis raised two sons together and they have 4 grandchildren. Shirley A. Black is running for re-election as Alderman in Ward Three. Alderman Black has frequently joined the Democratic council majority in criticizing and opposing the mayor, but could there be a personal agenda? In September 2007, The Herald reported that Black criticized the mayor for transferring hers and at least one other part-time crossing guard job from the city, to the Board of Education, making Black ineligible to collect unemployment benefits for her $35 a day part-time job because of an obscure state law that prohibits part time Board of Education employees from collecting unemployment benefits. (Crossing guard unhappy with new employer: Rick Guinness, September 14, 2007). In April 2009, Black was absent from an important budget meeting of the council, along with 3 other Democratic Aldermen, in what some believe was an attempt by the Majority Democrats in preventing there from being a quorum present to act on the budget. According to the April 9 Herald story on that meeting, the mayor criticized the inaction by the council on the budget by saying "Council membership is not a spectator sport" (NO TAX HIKE: by James Craven, April 9, 2009). Black was also one of the 13 Democratic Aldermen who allowed fellow Democrat Paul Catanzaro to violate the City Charter during the February 2009 council meeting by speaking against and then voting against his own ethics violation, despite the fact that section 4.7 of the charter prohibits an Alderman from speaking on, and voting on a matter of personal interest. Although section 4.7 mandates expulsion from the council for any Alderman who violates that section, not only did Black fail to perform her sworn duty as an Aldermen by enforcing section 4.7, she actually joined Catanzaro in his vote which was in violation of that section. Black initially held the party line by opposing the recent proposed changes to the city blight ordinance, but in the end, Black did change her mind and pledged support for correcting the defective ordinance that had initially been drafted by Tim O'Brien when he was still an Alderman. 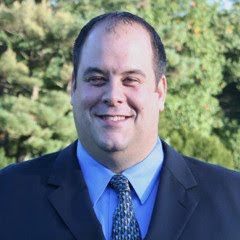 Craig Diangelo is a candidate for Alderman in Ward Four. Craig was born and raised in New Britain's Mt. Pleasant Housing Project in a single parent household with three other siblings. Craig spoke with the utmost respect for his mother, who worked long hours to make sure that the family was properly fed and clothed. Craig also spoke of his love for New Britain and the profound impact growing up here in the 1950s had on him and his fond memories of the times his mother would take Craig and his sister shopping in downtown New Britain. In 1979, Craig performed in the musical "Hair" at The Hole in The Wall Theater, and it is now being revived on Broadway. Craig is a homeowner in the Belvedere section of New Britain, where he has lived for 27 years. Craig has worked to make the neighborhood a better place to live through his membership and involvement in the Belvedere Property Owners Association and for many years with the Town and Gown, a group organized to help address the impact of CCSU on our neighborhood. Craig currently works for Northeast Utilities as a Senior Engineer, and serves on the New Britain City Plan Commission. 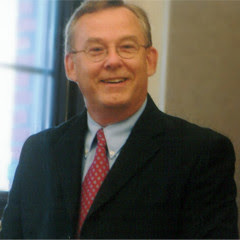 Craig is a past Chairman of New Britain Zoning Board of Appeals, and is a former Alderman (1997-2001). Craig is a past Council President at First Lutheran Church. Craig says that the reason he speaks so much of his pride in New Britain's past is that he has a vision for the future ahead of us. Craig believes that our Mayor, Tim Stewart is sincere in his advocacy for the rebirth of New Britain. Craig said: "He needs non-partisan individuals on the Common Council to work with him to fulfill that goal" and "We can no longer tolerate a Council that berates and discourages developers from coming into town." Craig said he believes that a thriving New Britain benefits everyone--Democrat, Republican, and Independent. 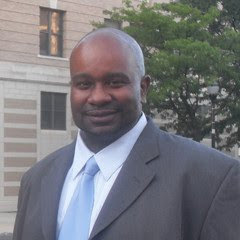 Jason Gibson is a registered Democrat who is running for Alderman in Ward Three on The Stewart Team. Jason has lived in New Britain most of his life, currently residing on Beaver Street. Jason is the father of a Gaffney Elementary School student. Jason is a graduate of Central Connecticut State University with a degree in Social Work. Jason is an inductee in the Academy of the Boys & Girls Club of America as a youth professional and he was a Case Manager for the Young Parents Program in the New Britain School system. He is a member of the Juvenile Review Board, Attendance Review Committee for New Britain Consolidated School District and a Part-Time Attendance Tutor at New Britain High School. Jason sees the families of the children he counsels which gives him an understanding of the needs of the community. To quote Jason: "It's not about me, it's about us, and more importantly our community." This one statement speaks volumes about Jason's willingness to work as a team member for the good of the community. Eva Magnuszewski is running for re-election as an Alderman-At-Large on the Democratic ticket. Although Alderman Magnuszewski has not accepted the nomination of Working Families Party-the radical ACORN front group, she did accept their nomination for her first campaign for Alderman in 2007, so at least she has done the right thing by rejecting their endorsement this time. Magnuszewski was one of the 13 Democratic Aldermen who allowed fellow Democrat Paul Catanzaro to violate the City Charter during the February 2009 council meeting by speaking against and then voting against his own ethics violation, despite the fact that section 4.7 of the charter prohibits an Alderman from speaking on, and voting on a matter of personal interest. Although section 4.7 mandates expulsion from the council for any Alderman who violates that section, not only did Magnuszewski fail to perform her sworn duty as an Alderman by enforcing section 4.7, she actually joined Catanzaro in his vote which was in violation of that section. Magnuszewski has also done her part to add to the embarrassment of the city in the recent council attacks against the city audit firm. During a September 2009 meeting of the Administration, Finance, and Law Subcommittee, a story in The Herald quoted Magnuszewski as comparing municipal finance to her own personal checking and savings account, and asking the auditor why they both can't work the same way. Magnuszewski initially towed the party line by opposing the recent proposed changes to the city blight ordinance, but in the end, Magnuszewski did support correcting the defective ordinance that had initially been drafted by Tim O'Brien when he was still an Alderman. In March 2009, The Herald did quote Magnuszewski as complimenting Mayor Stewart's State of The City address. 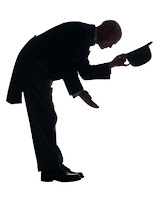 (City councilors applaud Stewart's message; by James Craven, March 12, 2009). According to The Herald article, Magnuszewski said she found the mayor's message to be optimistic but based in reality. According to the article, she said "I was very impressed" and "He did a remarkable job outlining the accomplishments of the city while remaining realistic about the economic crisis." Magnuszewski was also reported to have said it pleased her to bring out the work being done with the food pantry, the effort to end homelessness in the city, and the revitalization of the central business district. At least Magnuszeski, through her remarks about the Mayor's March address, has shown her ability to compliment the Stewart Administration for work well done, despite some of her fellow Council Democrats who have demonstrated they can never see anything positive no matter what the mayor may accomplish. Alphonse Wright will bring a business perspective to the City Council. He recently retired from a position as a mortgage broker, and has also worked in commercial real estate, financial planning for both individuals and businesses, has marketed benefits to small businesses, and has marketed management development programs to fortune 500 companies. Alphonse is a graduate of Boston University. Alphonse has a long history of public service. 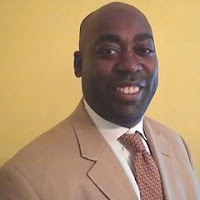 He is currently Chairman of the New Britain Commission on Community and Neighborhood Development, has previously served on the State Board of Education, is currently Treasurer of the Connecticut State African Affairs Commission, a Trustee of McCullough Temple CME Church, as well as Chairman of its Building Committee. Alphonse received the outstanding Board Leadership Award from Ralphola Talylor Community Center in Bridgeport and was Board Chairman of EXCEL, a Norwalk organization designed to help at-risk students graduate form high school. Alsphonse also served as Vice President of the Board, at St. Lucy's Parochial School in Waterbury. Alphonse was Honorably Discharged from the United States Air Force. STEWART TEAM: Made up of Republicans, Democrats and Independents. Mathematics; 18 years active employment , New Britain Fire Depart; Board of Education – 4 yrs. ; Alderman – 4 yrs. ; Mayor – 6 yrs. community service leaders; insurance professionals; children’s organizations leaders, etc. The league of women voters will be holding a debate with council's candidates and subsequently will have a mayoral debate with The Honorable Mayor Timothy Stewart and Representative Tim O'Brien. The release of campaign finance documents by Representative Tim O'Brien, as reported recently in The Herald, show some very disturbing issues about his campaign for Mayor (Mayoral candidates release financial documents, by James Craven, October 14, 2009). The most alarming revelation is that Representative O'Brien reports a campaign expense of $6,250.00 to an ACORN affiliate--Citizens Services, Inc.--the same ACORN affiliate that President Obama's presidential campaign paid over $800,000 to. 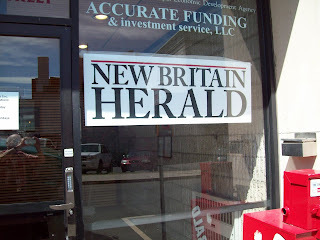 In attempting to investigate the payment, reporter James Craven reports that he found no phone listings for Citizens Services, Inc. in Hartford, but was astute enough to suspect they were affiliated with another ACORN front group--The Working Families Party, so Mr. Craven reportedly called the Hartford office of the Working Families Party which shares the same offices as the Hartford office of ACORN. The article quoted John Green, Director of Working Families Party as saying "Citizens Services, Inc., is the staffing firm that employs folks who work at Working Families. It's a consulting firm...that assigns people to work on mostly progressive campaigns." To make this statement by Green very clear, the Wikipedia definition of "Progressivism" as it relates to U.S. politics is:"an alternative to the traditional conservative response to social and economic issues and to the various more radical streams of socialism and anarchism which opposed them." New Orleans and officials with CSI refer folks to ACORN for questions about “political consulting” and “Get-Out-The-Vote” activities. 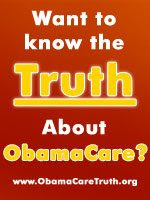 These are questions that mainstream media should examine." Voters need to be very suspicious of any candidate who's campaign is making such sizable payments to such a radical organization and perhaps Connecticut officials need to look into these arrangements as well. The report raises many more questions about Representative O'Brien and his possible motives as well. While the re-election campaign of Mayor Tim Stewart has not accepted any donations from PACS, according to the Herald Article, Representative O'Brien received much of his funding from PACS, unions and other organizations, all but one from outside New Britain and from as far away as New York! Just ask yourself one question: what does each of these groups expect to receive when they knock on the door of the Mayor's office in an O'Brien administration? A NEW NEWSPAPER FOR NEW BRITAIN AND ITS FREE! It started its circulation on October 16th. and promises to cover the city's news and events. THE HARDWARE CITY JOURNAL IS A WELCOME NEW ENTRANCE TO THE NEED OF LOCAL NEWS FOR NEW BRITAIN. Its Editor and owner, Ms Robin Vinci, a lifelong native of this city and a former editor of a Farmington Valley weekly newspaper. She is also a former reporter of the New Britain Herald covering the Berlin area news and has over twenty years of experience as a journalist. Hopefully, future issues will be made available on line for the neighboring town residents to be afforded the luxury of reading this new newspaper by gaining an insight of great our city. Candidate Don Naples for Ward Four Holds Fund Raiser TODAY! Don Naples is a candidate for Alderman, Ward 4 in the upcoming election and will be holding a Meet the Candidate event on Sunday afternoon, October 18th from 2-4PM at the Whinstone Tavern on the grounds of the Stanley Golf Course. Coffee, tea and cookies will be served. Suggested minimum donation is $5 per person. The Ward 4 Council race is critical, with newcomer Naples and former Alderman Craig Diangelo running against incumbents Phil Sherwood and Larry Hermanowski. Stop by to show your support for Don even if you can’t vote in Ward 4. Contact Don directly at (860) 229-5000 with any questions. Jamie Giantonio is a candidate for Alderman-At-Large in the upcoming election and will be holding a fundraiser on Monday, October 19th from 6-8PM at the home of Peter and Gail Steele. There will be wine, beer, and hors d'oeuvres served. The cost of the event is $15 per person or $25 per couple. For any questions, contact Jamie directly at (860) 989-8114. ADDITIONAL INFO: The address for this function is 170 Oakwood Drive (take Corbin Ave to Steele Street and then Oakwood Drive is off of Steele). Julie Swan is a candidate for Alderman in Ward Two. Julie comes from a family with a history of public service. Her father was a firefigther and her mother was a nurse. Julie attended the Community College of Finger Lake in upstate New York, where she studied Human Services. Julie was elected Constable in the last election, is a member of the New Britain Fire Commission and a Justice of the Peace. 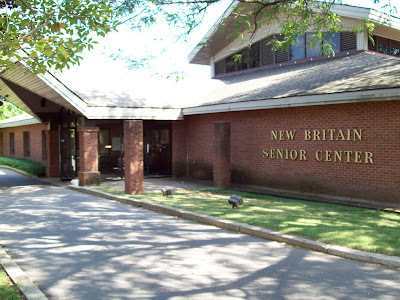 Julie is currently employed by the New Britain Senior Center. Julie is certified in CPR, and a First Aid Instructor. Julie serves as Chair, and Co-Founder of the Eastside NRZ, is a member of the planning committee for the NRZ and is both a volunteer coordinator and a volunteer at the East Side Police Sub-station. Julie has served in the past as a Police Matron, is trained as a NBPD Community Service Officer, and has been a volunteer for the New Britain Anti-Graffiti Group since 1997. Julie attends most Common Council meetings in an effort to learn more about the political process here in New Britain, and together with her involvement in so many community organizations, hopes this experience will give her a good knowledge of what needs to be done to help make New Britain an even better place to live, work, and play. The Debaser: More Money, More Problems: What do Rep. O'Brien's Donors Want out of New Britain? 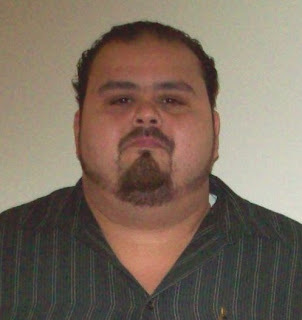 Wilfredo "Willie" Pabon has lived in New Britain most of his life. As the owner of a local business, New Britain Fence Co., Willie has a personal stake in the future of our city and he understands the importance of holding the line on property taxes. He and his wife Norma live at 205 Birchwood Drive. Their son is a member of the New Britain Fire Department and their daughter is an elementary school teacher. 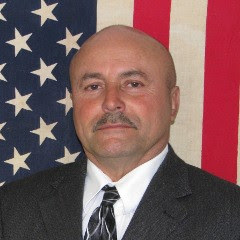 Willie is a member of the New Britain Police Commission, and the Police Commissioners Association of Connecticut where he currently serves as Sergeant-At-Arms. Willie is also a Board Member for the Human Resources Agency (HRA) and a member of the Citizens Property Owners Association, and is volunteer Community Service Officer with the New Britain Police Department. Willie has also served in the past on the Board of the Greater New Britain Teen Pregnancy Prevention,Inc., and the Construction Workshop. As an Alderman, Willie says that he will "put people before politics." Alderman Candidate Willie Pabon to Hold Fundraiser! Willie Pabon, candidate for Alderman in Ward One, will be holding a fundraiser on Friday, October 16th, from 6-8PM, at 801 Farmington Avenue. Tickets are $15 per person or $25 per couple. A spaghetti dinner will be served. Publish all Delingquent taxpayers list! Is there a way to publish the names of all taxpayers who are delinquent on their taxes, whether it be in the newspapers or the internet? Why just publish the names of politicians who are delingquent? The reason for publishing the names of politicians as you put it, is that they are public officials and should be expected to set an example. Although it is possible to publish the names of all tax delinquents, since it is public information, it would be a difficult task as there are 1,000s of people owing millions of dollars. This is the illegally obtained book written by one the defendants who killed Hayley and Michaela. He illegally met with the author in jail before he was stopped by the DOC and released it prior to the trial in Contempt of of the gag order, that has been in place over a year. The book was common knowledge but Donovan, his defense attorney has reacted like a moron as if he had no knowledge of this. Judge Fasano had a hearing yesterday and ignored the entire topic-of course the session was in chambers so it is hard to know exactly what was said-our justice system is far less than transparent. This allows this animal to give his side of the story without cross-examination or forensics and then causes the other side of the defense to whine that they cannot get a fair trial. Amazon The author, Brian McDonald, acts like he did nothing wrong-it was only his job to write a book no matter who it hurts. St. martin Press is the division of McMillan that published the book and it is out at Amazon, Barnes and Noble etc. None of them care that an 11 year old was terrorized, raped and burned alive and that a 17 yr old was beaten and burned alive while a 48 year old mother with MS was strangled while she tried to save her children. They are all the epitome of the American blood lust for money and publicity at all costs. Shame on them. they will get their final rewards in their afterlife of hell. Now 26 months later there is no thought of starting the trial and the judicial system wants me to cheer because this is faster than most trials come to court. Yes I am angry, and suspect I will get angrier, but if you have a minute send an email or call or boycott. Thank you for caring about Jennifer, Hayley, and Michaela.